Chiropractic care involves repositioning the spine to reduce unwanted pressure on the spinal cord and nerves. Patients report looking better, feeling better and moving better. It has an extremely positive effect on your overall health! Everyone’s needs are different, and each patient’s goals are as unique as they are. You may be interested only in relief care. That is, you may pursue chiropractic until you feel better and then discontinue treatment. If your goal is correction, you might find relief and then continue care for a brief period where we’ll work on changing the structure of your spine. 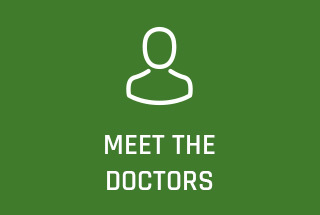 We’ll evaluate your progress and give you options for care that will help you reach your normal or optimal health. Some patients opt to continue with maintenance or preventative care to maintain an ideal level of wellness. The primary technique we use at Green Chiropractic is Clinical Biomechanics of Posture® or CBP®. CBP® is the most advanced, most researched, and most published named technique in all of chiropractic. Alignment problems can cause pain and unwanted symptoms. When left untreated for an extended period those mis-alignments can cause more permanent posture distortions to the shape (and function) of the spine due to prolonged stress on the spinal cord and nerves. The CBP® technique allows us to use mirror-image adjusting, rehabilitative exercise and specific traction to correct spinal distortions and return the spine to a normal or near-normal state. Dr. Green and Dr. Mohl use a variety of other chiropractic techniques as well. Each has a particular role to play in your overall care, and all produce great results. Aside from CBP®, our most commonly used technique is Diversified. This manual adjustment technique helps restore joint function. Talk with your doctor about the advantages of various techniques and which might be right for you. We’re happy to answer any questions you might have. Contact us today!